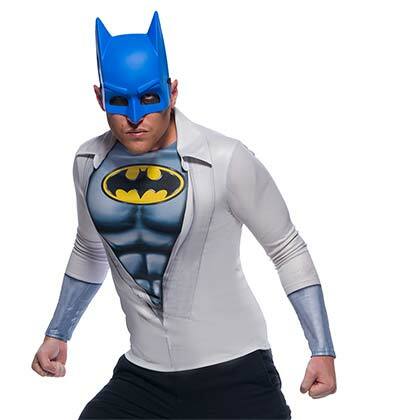 Officially licensed Batman costume set for men. Includes mask and photo-realistic long sleeve t-shirt with collar. 100% polyester.